Why Is Bingo So Much Fun to Play? लेख - निःशुल्क आॅनलाइन बिंगो गेम्स! Why Is Bingo So Much Fun to Play? इस लेख का मूल्यांकन करे Bingo has been around since time immemorial, but what makes bingo so fun to play? There are many types of gambling games out there, from slot machines to table games, dice games, and their likes, but no other is as widely accepted and played as bingo. Bingo is one of the few forms of gambling that you can stumble upon in many places, from fundraisers and churches to retirement homes and a vast variety of online outlets. Bingo is so much fun to play that you'll often see it played with no prize involved whatsoever. People will sit down with their tickets in their hand, waiting in excitement for the caller to announce the next number and exclaiming "Bingo!" with so much enthusiasm whenever a ticket is completed. What makes bingo such an entertaining pastime for so many? Let's take a look below. Bingo is a social game - and this makes it very attractive to many of its players. If you take a look at the many bingo games organized in real life, you'll see that it's almost always a social event where groups of people gather around the table, chat, gossip, and laugh while crossing out numbers from their tickets. This strong social element is way more attractive to many than the prizes themselves. And the same goes for the online version of the game. Online bingo halls are almost always built around chat rooms. People register their accounts, connect to a room full of like-minded players from all over the globe, and engage in discussions of all types while the automated caller draws all the numbers. There is no true crossing-out done by the players - the software takes care of this part - leaving them more time to chat, laugh, and have a good time. This social element is one of the most attractive parts of bingo games. How about the fun part? It is most likely that bingo is enjoyed by so many because of its mix of anticipation and satisfaction. Anticipation is felt by the player while the caller announces the numbers drawn one by one, and satisfaction is what they feel when they get to cross out a number just announced from their ticket. 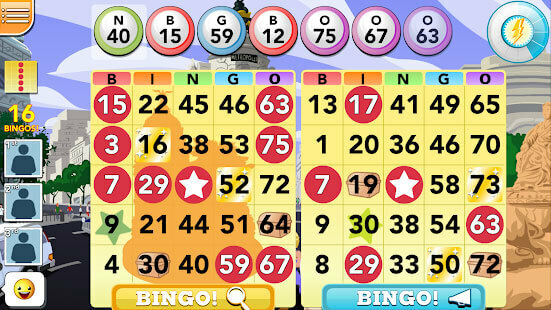 Online bingo games could easily last for as little as a few seconds - the games' random number generators could draw all the numbers and decide whether a ticket is a winner or not almost instantly - yet they still take their time, just like in a real-life game, so that the players can experience the same mix of feelings that they would while playing a game in real life. This, along with the social part of the game, makes bingo one of the greatest forms of mindless fun ever invented - no wonder it has kept being so popular for so long.